Here are some facts about Alfred Lord Tennyson, the famous poet. Alfred Lord Tennyson was the Poet Laureate for much of the last half of the 19th century. Today, he is one of the most well known poets of all time, and one of the most quoted of writers. As a child Tennyson loved to read and was writing poetry at an early age. At the age of 12, he wrote a poem that was 6,000 lines long. He was born in Lincolnshire, England in 1809. He was still writing poetry in his 80s when he died in 1892, and is buried in Poets Corner, in Westminster Abbey, London. Tennyson attended Trinity College, Cambridge where he became friends with a historian, Henry Hallam. He also joined a club of intellectuals, called ‘The Apostles’. In 1827, Tennyson and his brother published a book of poems. He received a gold medal at university for one of his poems and published his first solo collection of poems in 1830. In 1833, he published a second volume of poetry, which included a well known work, The Lady of Shalott. However, Tennyson did not publish again for a decade, because of the book’s criticism. Alfred Lord Tennyson wrote his famous poem, the The Charge of the Light Brigade, in 1854. The poem has since been read on the Ed Sullivan TV show and featured in an episode of Star Trek. Tennyson’s poetry covered such diverse subjects as Medieval legends, historical events, everyday life and nature. He has been described as being the saddest of English poets. He wrote a poem about Boudicca called Boadicea. 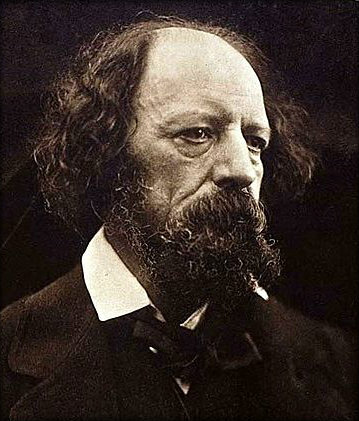 Alfred Lord Tennyson was made Poet Laureate in 1850, until his death. The 42 years are the longest time anyone has held the position. The ‘Tennyson Trail’ is a 210 km walking route in Lincolnshire, taking in many of the sites associated with his childhood. There is also a trail on the Isle of Wight, where he lived. this really helped me a lot it’s very informative THANKS!!!!!!!! Homework = COMPLETED, Thank you!